Dr. Sharon Gramby-Sobukwe has served as a Special Assistant to the Managing Director, as well as Assistant Managing Director and then Deputy Director of the Minority Business Enterprise Council of the City of Philadelphia, from 1984-1989. She is currently an Associate Professor and Director of Organizational Leadership Programs at Eastern University. She has served as Assistant Professor at Rutgers University – Camden in the Department of political science and in the Department of Public Policy and Administration. She specializes in African political economy, and is completing a book on globalization and democracy in Africa. This book is based on fieldwork in Ghana, West Africa, conducted in the late 1990’s. Dr. Sobukwe’s current research focuses upon the political impact of contemporary African-American churches in poor communities in both the U.S. and Africa. This research assesses the influence of large, “mega-churches” and various African-American missionary projects on African and African- American politics. Dr. Sobukwe brings her travel experience in Africa, the Caribbean and Europe to her teaching and activist work. In her work as program director at Eastern University she travels regularly to Africa, especially Kenya and South Africa, Eastern Europe, and Asia. Dr. Sobukwe teaches Advocacy, Public Policy, Leadership, International Economic Development, International Community Development, Women and Politics (Understanding Women’s Movements Internationally), African, comparative, international and American politics, as well as political theory. 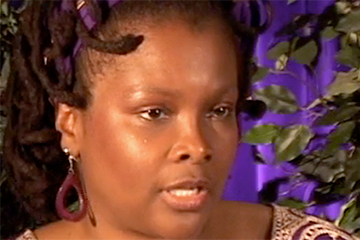 She speaks regularly on various aspects of African liberation and development and has spoken at Eastern University, Cheyney University, Lincoln University, Temple University, University of Delaware, Sacramento City College, Compton Community College, Los Angeles Community College, DePaul University, Northwestern University, University of Akron, and Community College of Philadelphia. Dr. Sobukwe is further a woman of faith, active in various ministries and community development programs. Dr. Sobukwe is active in her church, First Corinthian Baptist, she has served, as President of the Scholarship Committee, is a member of the Black History Committee and a member of the Board of Directors of the First Corinthian Community Center. She is the new (fourth) Chairperson of the Board of Directors of Mwamba Church Ministries International and she is an Advisory Board member of the Bright Lights Initiative. Through these organizations she serves children in impoverished neighborhoods in Philadelphia and helps educate and develop skills among girls and women in Kenya. In addition, Dr. Sobukwe worked with the Committee for the Advancement of Pan-Africanism (CAPA) for thirteen years serving most recently as an Executive Committee member and co-chair of the Women’s Section of CAPA.